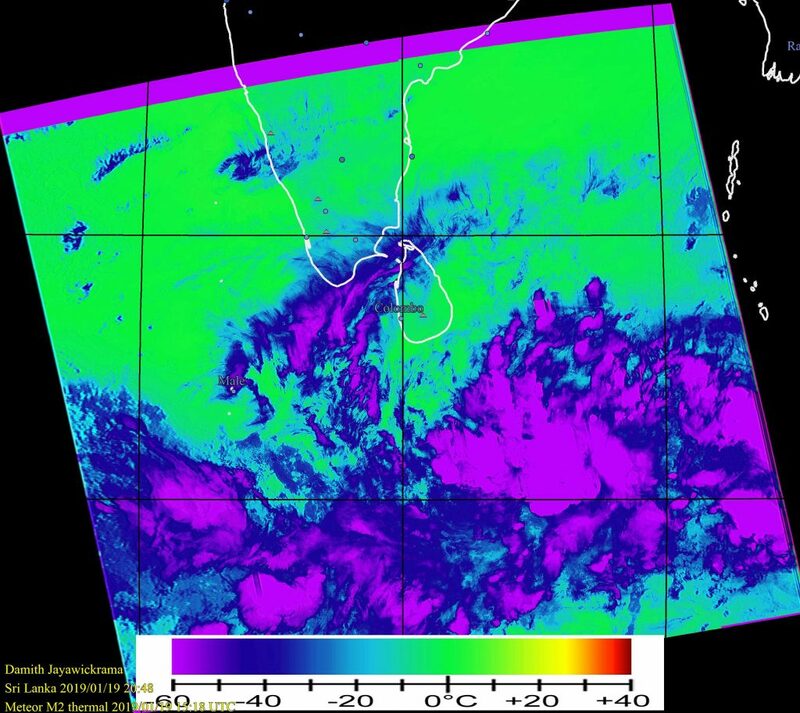 A twisted cloud pattern is observed South West of Sri Lanka over the Indian ocean. 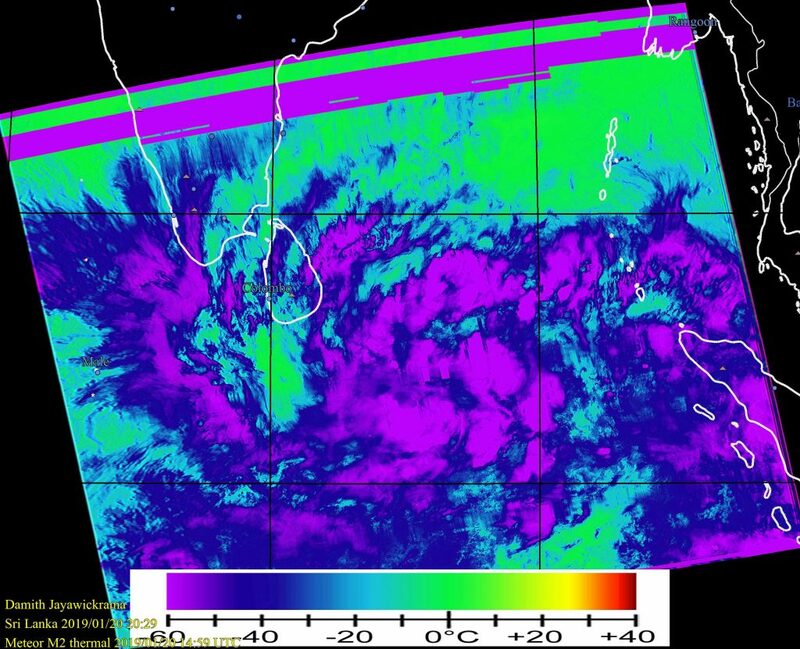 I am no weather expert but by looking at these captures; potentially this could bring us more winds and based on past experience if this twist reach towards the land potentially bring us rain. 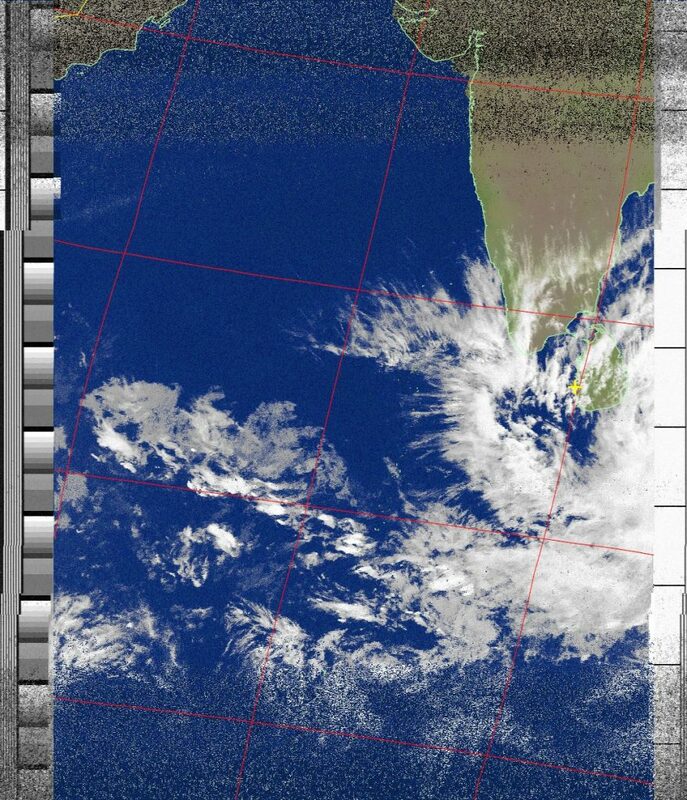 Captured from Meteor MN2 satellite by Damith Jayawickrama. Weather station in Colombo, Sri Lanka. On 19th Jan 2019 and 20th Jan 2019 around 08.00pm (+5.30 GMT) local time.